Hospitals are working harder than ever to prevent hospital-acquired infections. Study shows there’s more work to be done to encourage prevention of catheter-associated urinary tract infections. But a nationwide survey shows few are aggressively combating the most common one – catheter-associated urinary tract infections. 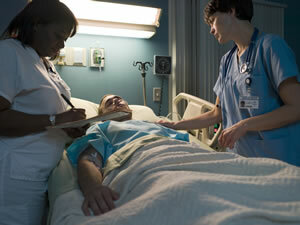 In the survey conducted by the University of Michigan Health System and the Veterans Affairs Ann Arbor Healthcare System as many as 90 percent of U.S. hospitals surveyed increased use of methods to prevent central line-associated bloodstream infections and ventilator-associated pneumonia, between 2005 and 2009. However, prevention practices for catheter-associated urinary tract infections were regularly used by only a minority of hospitals, according to the survey published online today ahead of print in the Journal of General Internal Medicine. “Despite being the most common healthcare-associated infection in the country, hospitals appear not to be using as many practices for prevention when compared with bloodstream infections and ventilator-associated pneumonia,” says senior author Sanjay Saint, M.D., M.P.H., director of the VA/UM Patient Safety Enhancement Program, and U-M professor of internal medicine. Using reminders, cleaning the insertion site and avoiding indwelling devices by using appropriate alternatives are all ways hospitals can reduce infection risk. But in 2008, Medicare stopped paying non-federal hospitals for the additional costs of treating infections which are considered preventable with the right care. “The actual impact of the no-payment rule appears limited given the fact that hospitals not affected by the rule change, such as VA hospitals, also increased their use of infection practices,” says lead study author Sarah L. Krein, Ph.D., R.N., a VA research scientist and U-M associate professor of general medicine. There are likely other factors such as the introduction of practice guidelines and infection prevention collaboratives that contributed as much, if not more, to the increased use of certain infection prevention practices, she says. Catheter-associated urinary tract infection is one of the no-payment conditions, but until recently there were no large-scale educational efforts or prevention guidelines created for this type of infection, Krein says. The study was funded by Blue Cross Blue Shield of Michigan Foundation. Guidance is available from the VA Ann Arbor Health Services Research and Development for patients and hospitals on what practices to use to prevent catheter-associated urinary tract infections. If a patient has a urinary catheter, what can they do to prevent infection? Ask your doctor or your nurse every day if your urinary catheter is still necessary. The sooner it is removed, the lower your risk of infection and the sooner you can increase your mobility. Make certain you know how to care for your urinary catheter and keep it clean. If you do not know how to do this, please ask your nurse or doctor. Wash where the catheter enters your body every day with soap and water. Clean your hands with soap and water or alcohol-based hand rub before and after touching your urinary catheter. The urine drainage bag from your urinary catheter should stay lower than your bladder (your bladder is just below your belly button) at all times to prevent the urine from flowing back up into your bladder. This helps to prevent infection. If you notice that your drainage bag is too high, tell your nurse. More details are available online at www.catheterout.org.